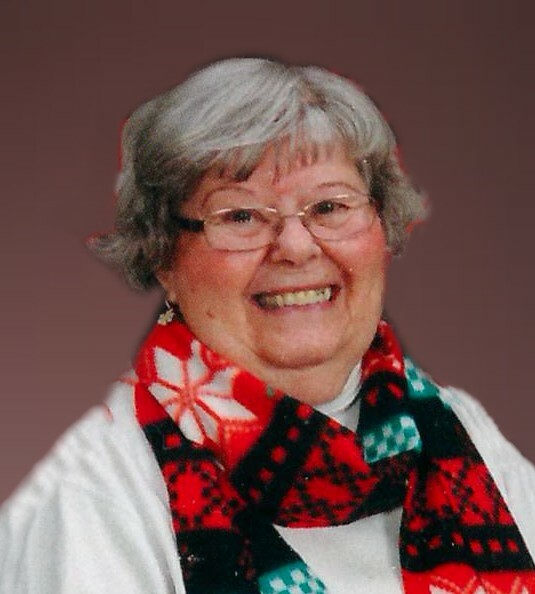 CUYAHOGA FALLS - Eileen Marie Tench, 95, passed away after a tragic fall on March 17, 2019. She was born in Copley to Ralph J. Hedden and Florence M. Marsh and resided in Cuyahoga Falls for the past 68 years. Eileen worked as a "Rosie the Riveter" at the Goodyear Air dock. She was a long-time member of the United Presbyterian Church, the American Legion Post 281 and the Cuyahoga Falls Historical Society. Preceded in death by her husband, Louis R.; daughter, Cheryl Ann Schmidt and brother, Robert M. Hedden; she is survived by her daughter, Deborah Lee Grissinger; granddaughter, Andrea Martin (Thomas); grandson, Mike Jackson; great-grandchildren, Victoria Bestvina (Christopher), Rebecca Watkins (Kevin Sipan) and Rachel Martin; great-great-grandchildren, Cooper, Charlie and Isabella Bestvina; son-in-law, Carl Schmidt; and her beloved dog, Annie. She also leaves behind nieces, Darlene, Kathy and Karen; nephew, Doug and many dear friends. Friends may call 2 hours prior to a 12-noon memorial service on Friday March 22, 2019 at the Clifford-Shoemaker Funeral Home 1930 Front St. Cuyahoga Falls, OH 44221. Inurnment will be at Greenlawn Memorial Park. Memorials may be made to a charity of your choice. Services entrusted to Clifford-Shoemaker Funeral Home and Crematory, 330-928-2147.